(LWI) - The Church of Sweden (CoS) and other non-governmental organizations (NGOs) in the country are asking the government to urgently make it possible for unaccompanied minors and children seeking refuge in the country to be allowed to stay on humanitarian and security grounds. In a statement, the church said despite Sweden’s reputation as a humanitarian superpower and the spirit of the United Nations (UN) Universal Declaration of Human Rights, a temporary law introduced in 2016 made it more difficult for asylum seekers to get protection, and unaccompanied youth are being expelled to Afghanistan. There is an ongoing “dehumanization” of children and young people who have fled crises abroad to find a future in a country that committed to enshrine the UN Convention on the Rights of the Child into law by 2020, the statement noted. “It is clear that the rights of these children under the Universal Declaration of Human Rights have not been satisfied,” the statement adds. “People under threat of expulsion are turning to the parishes for assistance and support after the State has renounced responsibility for them. Many feel that they have been denied the right to a fair and impartial examination of their case under the rule of law,” the church said. “The people who are coming to us are mentally and physically distressed by the apprehension that they will be forced to return to a country where they risk injury in an armed conflict,” the church added. The worsening conditions for asylum seekers and the denigration of the security situation in Afghanistan meant no further expulsions to Afghanistan should happen, until a review of prior expulsions had taken place, the church noted. “From what we hear and see in the Church of Sweden parishes, this matter cannot wait long,” the church said. The Lutheran World Federation (LWF) member church had asked for an urgent meeting with government officials to discuss the situation earlier this month but the latter did not respond. CoS representatives used the occasion of the regular bi-annual meeting between NGOs and the Minister for Migration on 22 November to reiterate their urgent request to the new minister, Heléne Fritzon. “As we wait for a response to our earlier request, we used the scheduled meeting to repeat to the minister what she already knew, and she listened,” said Rev. Inga Lena Arvidsson at the national CoS office in Uppsala. “It is a good thing to meet because we can help the government with the experience we have. I am positive and sure that they know civil society is not going to stop pushing for the rights of unaccompanied minors and children,” she added. 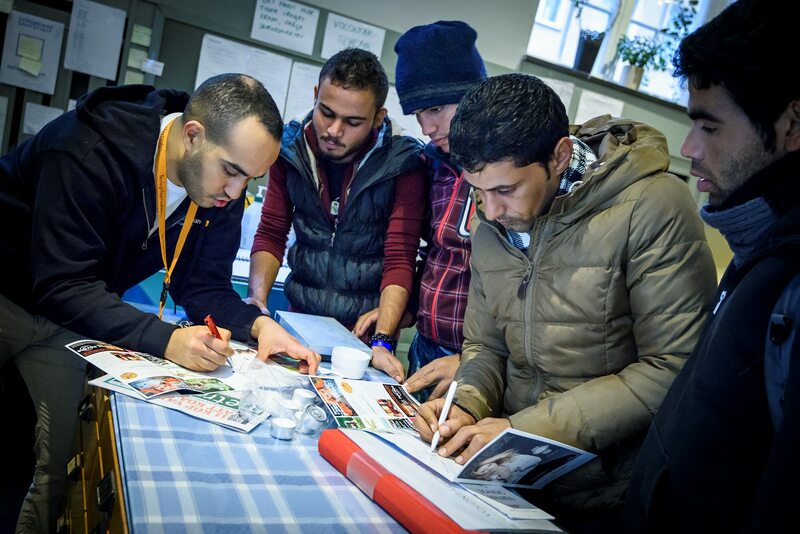 According to the Swedish Migration Agency, people seeking asylum in the country come mainly from Afghanistan, Eritrea, Iraq, Syria and Turkey. The agency says it expects to decide on an estimated 80,000 applications for asylum this year, which would bring the total for the 2016-2017 period to around 200,000 cases. Out of the 21,206 asylum applications received between January and October this year, 30 percent (7,263) were unaccompanied children or minors.